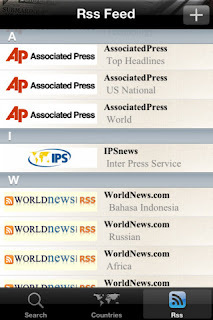 Developer Quote: "World Newspapers provides more than 14,000 links to world newspapers at your fingertips." Newspaper junkies cannot get through a day without reading several of the day's headlines, fresh and hot off the press. Granted, the majority of us are reading the news on our computers and mobile devices. Still we want variety and we want it up-to-date. 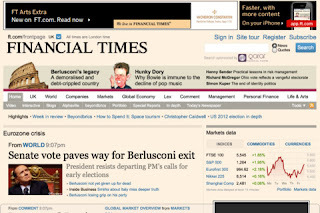 With World Newspapers, read your favorite papers in your RSS feed. Add your own URL with personalized option, in order to get a custom news list. Find the most popular and accurate news sources. 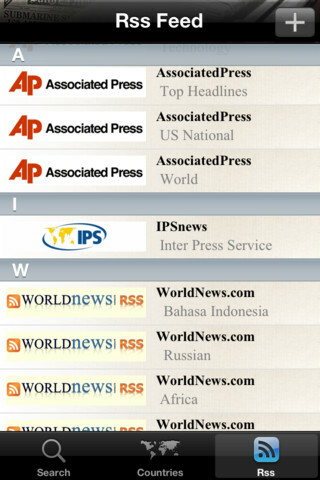 World Newspaper is the largest newspaper source for your iOS device. It actually searches your local area to find news relevant to you. You can search a paper by its name, or by the country in which it is published. Use the handy mini browser to navigate the newspaper websites you select. Additionally, use Bookmarks to keep track of your favorite links. Since it is a universal app, it works equally well for your iPhone and iPad. You do need an active internet connection to browse. However, a neat feature is that World Newspaper downloads all the necessary information on launching the app. This is a great tool to help the search engine run more efficiently. Take advantage of all the papers in the world you've been longing to read using the clever digital, newspaper, iPhone app World Newspapers to do so. COOL CONCLUSION: Newspapers from around the world are now in the palm of your hand, and accessed only by a few easy taps using World Newspapers. --iOS/Age Rating: This app requires iOS 5.1 or later. Rated 12+.